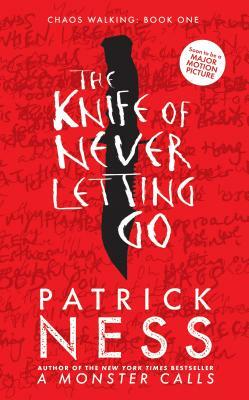 A decade after its release, the astonishing opener to Patrick Ness’s Chaos Walking trilogy still resonates. Celebrate ten years of this groundbreaking book with a beautiful anniversary hardcover edition. Todd Hewitt is the only boy in a town of men. Ever since the settlers were infected with the Noise germ, Todd can hear everything the men think, and they can hear everything he thinks. Todd is just a month away from becoming a man, but in the midst of the cacophony, he knows that the town is hiding something from him — something so awful that Todd is forced to flee with only his dog, whose simple, loyal voice he hears too. With hostile men from the town in pursuit, the two stumble upon a strange and eerily silent creature: a girl. Who is she? Why wasn't she killed by the germ like all the other females on New World? Propelled by Todd's gritty narration, readers are in for a white-knuckle journey in which a boy on the cusp of manhood must unlearn everything he knows in order to figure out who he truly is. Filled with action, this title will definitely be pleasing to those loving dystopian novels or just looking for a good, if not a tad bit strange, adventure.